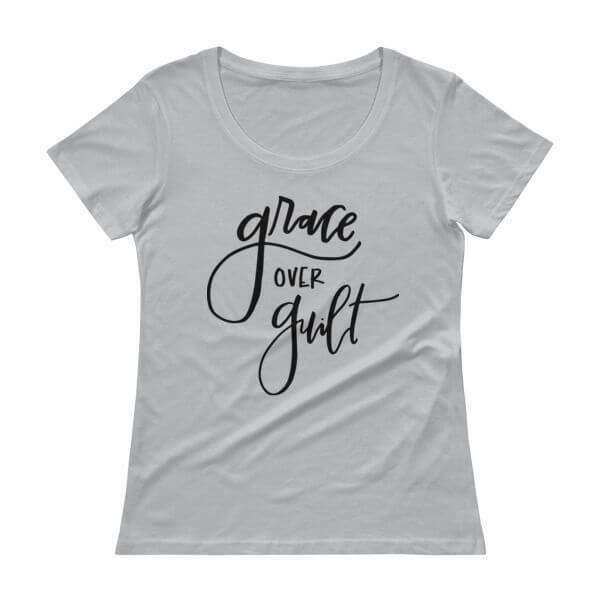 “Grace over guilt” has become the unofficial motto of The Sisterhood. 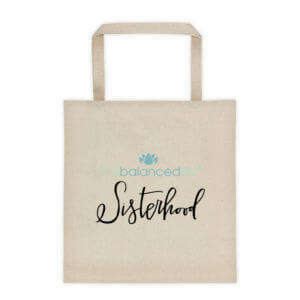 The sentiment is woven into everything we do. We constantly remind each other that it’s okay to mess up. 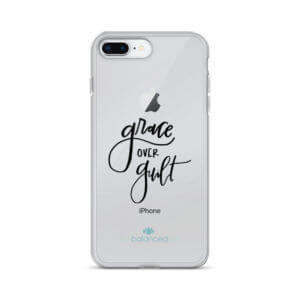 Perfection is not our goal. 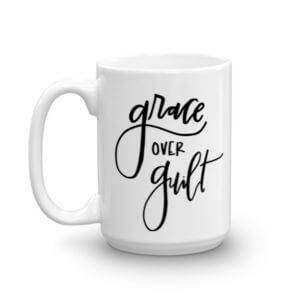 Our goal is to be more consistent in the way we care for our health for the rest of our lives and the only way to do that is to extend grace to ourselves when we go off track. 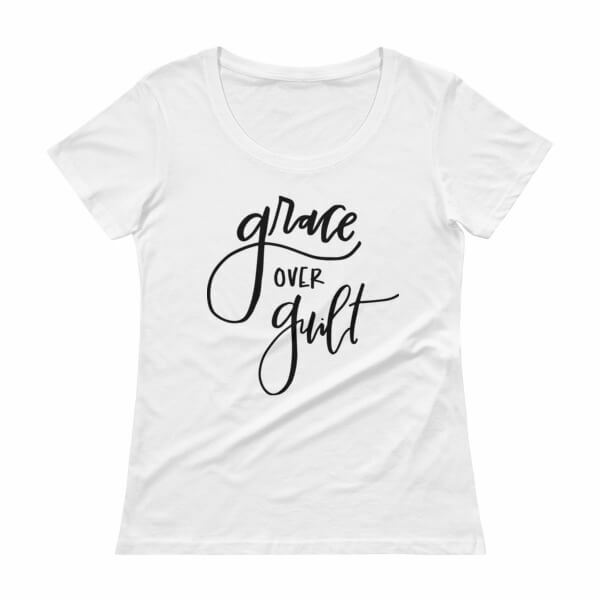 This t-shirt is a reminder to choose grace over guilt and to pick back up where you left off.